Brand: Darn Tough - incredibly comfortable and guaranteed for life! Made in Northfield, Vermont. 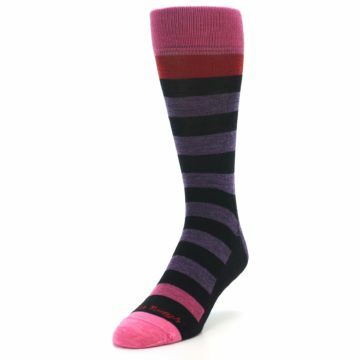 Darn Tough socks are proudly made in America. 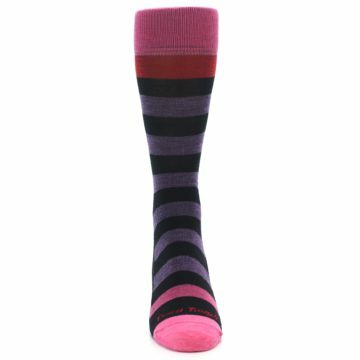 Their socks are made with Merino wool to enhances the comfort and durability that outdoor enthusiasts have come to expect. 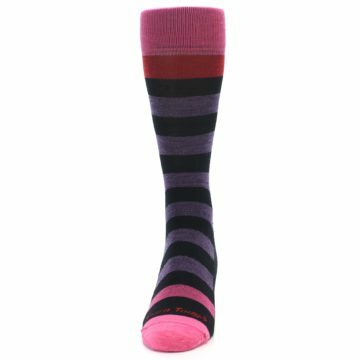 Wool is most commonly used for cold-weather products and high-stress activities, like hiking and winter sports. 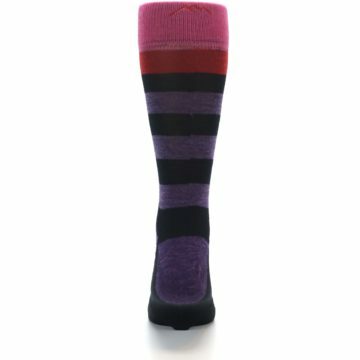 Its durability and comfort make it a favorite for cold weather. 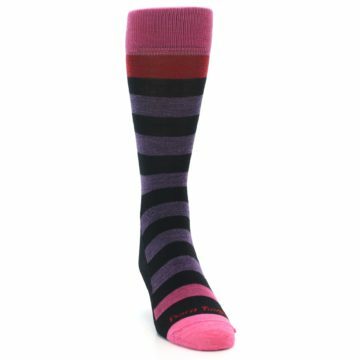 There are not yet any reviews for Purple Black Pink Stripe Wool Men's Socks.